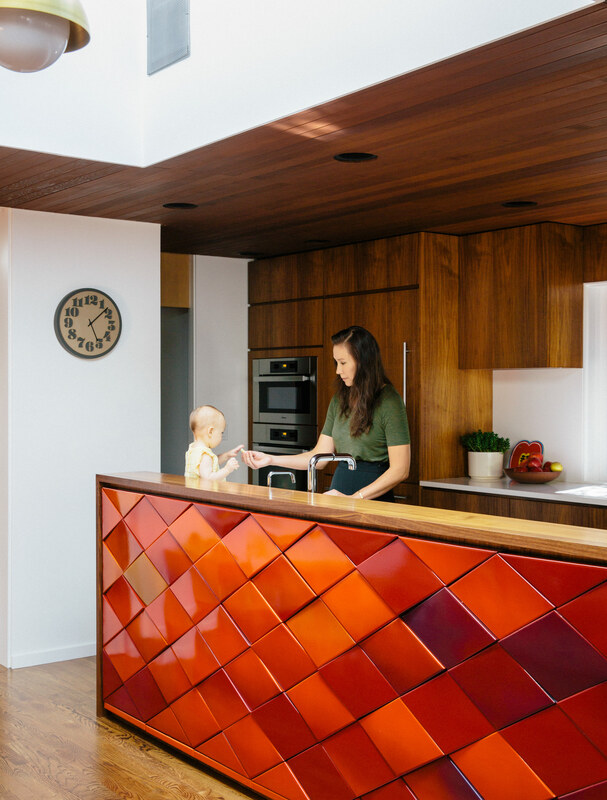 In the kitchen of a classic midcentury home in Portland, Oregon, the original red tiles survived a renovation and continue to add color and visual interest against a sea of wood paneling. Swaths of orange paint help to define spaces throughout the Paris home of a comic-book collector with a graphic bent. In Antwerp, the home and gallery shared by an artist of an architect uses color to define the form and function of different spaces. A bedroom gets an unexpected does of energy with a neon shade of chartreuse. When paired with a mirror, cabinets in soothing cerulean make the kitchen of a 258-square-foot Stockholm apartment feel anything but cramped. When considering color, don't forget to look up! Artist Lawrence Weiner painted the ceiling of his West Village bedroom lavender (a hue he heard was the best to see upon waking).